A folding bicycle is, for me, a total extravagance. I don’t need one, not at all, but oh my, I have wanted one for years, and the one I wanted was a Brompton. The brilliance of the design! The tidiness of the fold! The deftness of the handling! I certainly couldn’t justify such a pricy purchase, though. Or could I? I told myself if I ever landed a semi-secure job with this nifty little interdisciplinary Ph.D. of mine, then I could treat myself to a bike I could take on trains and toss in cars and just generally have with me at all times. I landed a job on the east coast–land of trains!–and nine months later Brompty came into my life. One month together and we’d already been to NYC, Philadelphia, D.C., and the Delaware coast together. The Surly’s still my daily bike, because she feels like home, but Brompty and I are getting along famously. We have a most delightful future together, I’m sure. I have a Xootr Swift, and stow it under the desk at work. Yes, wonderful! Just got my Brompton this past summer. 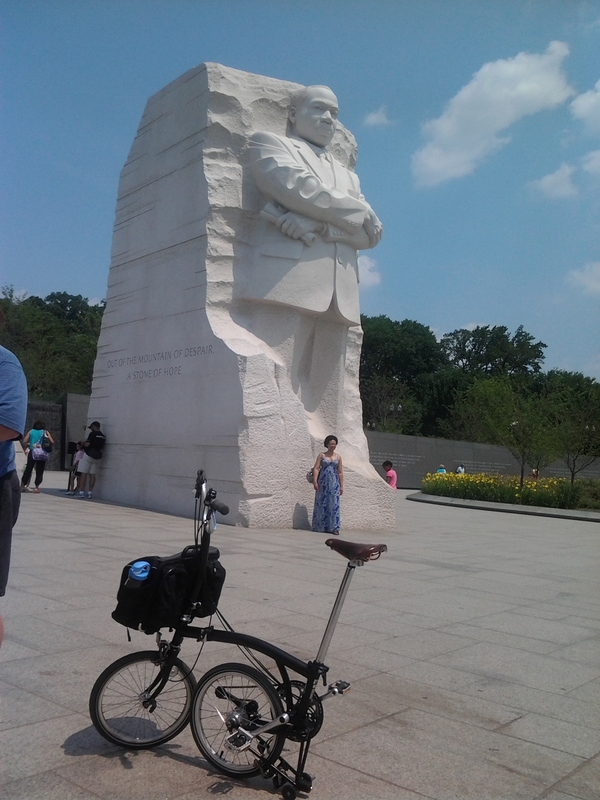 The world so easily opens up to a folding bike: Bolt Bus > NYC > ride to Brooklyn, cheap, easy; when a DC meeting was cancelled, pulled the Brompton out the car trunk and spent the rest of the afternoon in Rock Creek Park. Love my road bike, mountain bike, full-size touring bike. 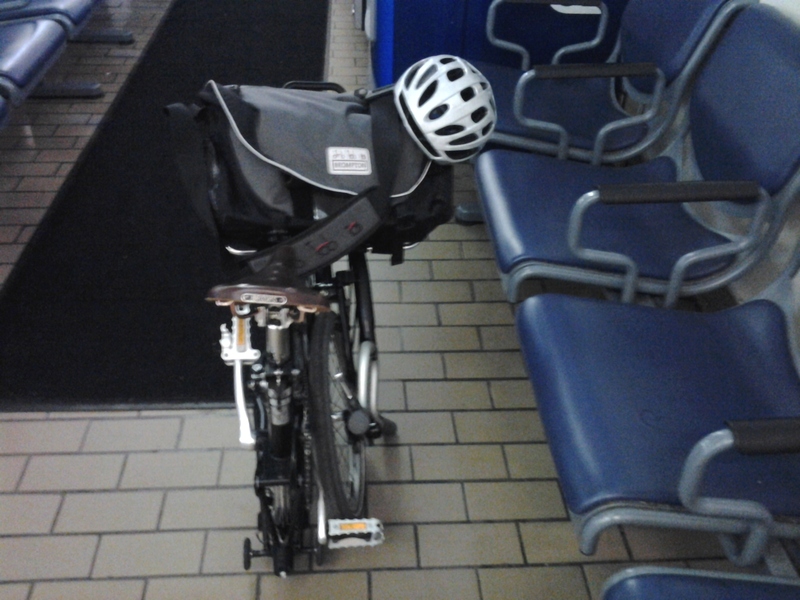 But the Brompton will work in those situations when the others cannot… Is there a Bmore Brompton group yet? Enjoy!